After a long year, the holidays are finally here. There are gifts to buy, parties to attend and a host of other activities to keep you busy until the New Year rolls around. Amidst all this activity, take time to decorate your house. Putting up decorations is one of the most enjoyable moments of the holidays. You can make it even more fun by roping in the whole family to help. Children will especially love to have a hand in transforming the house from drab to a magical Christmas wonderland. This year, why not do something different to bring in the Christmas cheer to your home? Be daring and find creative ways to brighten your home for the holidays. Here are a few innovative ways you can choose to deck your halls this Christmas: Put a new spin on those garlands. Although natural garlands are a staple in most homes, they lack a certain pizazz. You can brighten yours by weaving a few Christmas lights into the leaves to add some color. Alternatively, you can ditch the natural garlands for some manmade ones, to give you some more room to experiment. For instance, you can string red and white paper bells together then hang them on your bannister or make a garland from stockings and candy canes. Just ensure the latter is hung far from the reach of children or pets. 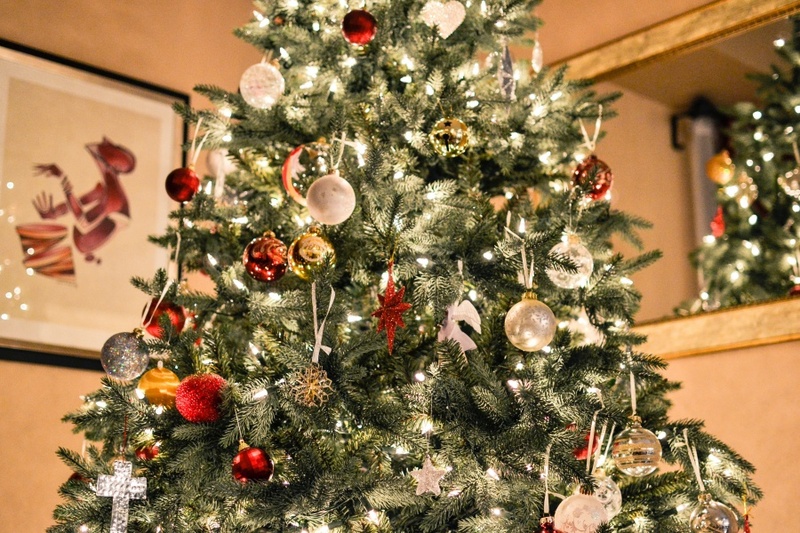 As the centrepiece of your home's décor this season, your Christmas tree should look stunning. Instead of reaching for the same ornaments you use every year, why not shake things up a bit? Give your tree a new look by hanging small figurines, statuettes or even some family photos. Get your children to choose their favorite action figures or dolls and give them pride of place on the tree. Used correctly, lights can add a beautiful glowing backdrop to your Christmas celebrations. Take your pick of fairy lights, Christmas lights and even LED bulbs to light up your home. If you find Christmas lights frustrating to untangle and string up, opt for the innovative tree dazzler instead. These cascading lights will not only brighten your tree but also your home, lending a festive glow to complement the rest of your décor. Get creative with your decorations this year by trying your hand at some simple DIY projects. For instance, instead of natural garlands, make your own from twisted, colored, chunky yarn. You can also glue together some shiny Christmas tree ornaments to make unique wreaths for your walls and doors. Use your imagination to see how else you can put a new twist on traditional decorations to inject some personality into your décor. As you get busy decorating your home’s interior, make sure you take care of your surroundings. Set up a nativity scene on your porch or verandah if you have space. You can also decorate your gate or fence with ribboned wreaths or boughs of holly. Regardless of how you choose to decorate your home this holiday season, remember to spread the Christmas cheer all round. After all, the season is meant for sharing and caring.